At this year’s Design Indaba, Nedbank underscored its positioning as South Africa’s green and caring bank with its innovative Wonderland Project. M&C Saatchi Abel created and executed the project which seeks to transform decommissioned ATMs into ‘works of wonder’. The project challenged all 2016 Design Indaba delegates to submit their ideas of how these terminals can be repurposed for social benefit. “There were many interesting ideas, especially around education and public health,” says Paul Coetzer, Business Director at M&C Saatchi Abel. He highlighted the Conversation Starter Machine idea: this could be placed in different parts of the country to encourage people from different backgrounds to start up random conversations – and get South Africans talking. The competition received over 200 entries. At the close of the Design Indaba, Katherine Farrell from Johannesburg was announced the winner of the Nedbank Wonderland Project competition. Her idea is to turn decommissioned ATMs into Hotel Perk Hubs, where hotel guests, tourists and travellers can deposit unused perks (meals and credits, toiletries, etc) for people in need to ‘withdraw’. Her key insight was that ‘the richer you are, the more stuff you get for free’, which leads to wasted resources. Farrell won an all expenses paid two-week immersion experience at the Google Creative Lab in Sydney, Australia. Over and above the competition, the project included a branded Wonderthon activation area, which – in keeping with the theme of repurposing – was furnished with recycled wooden pallet furniture. The activation area also featured a ‘Wonder Window’ where delegates were encouraged to doodle their ideas of what decommissioned ATMs could become – as well as an ATM turned into an entry box where delegates could drop physical, hand drawn entries. “As part of this activation, a team of engineers, programmers and designers was challenged to repurpose a decommissioned Nedbank ATM in real time,” adds Coetzer. “Over the course of the three days the team repurposed the ATM as a community movie projector, an arcade game, and finally a fully functioning breathalyser – which tests intoxication levels and prints an Uber voucher for people who are over the legal alcohol limit.” The prototype was launched at the Design Indaba closing concert, hosted by Nedbank. “Everyone who has heard of the project is extremely positive about it as an initiative and about the potential impact it can have on communities across South Africa,” says Coetzer. 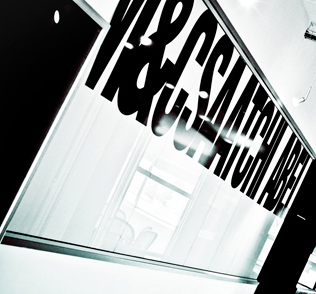 “Brutal Simplicity of Thought” is the abiding philosophy of M&C Saatchi Abel and one that could well serve as the impetus behind the interior design of the advertising agency’s new Johannesburg premises. Restrained, contemporary and modelled on a “less is more” ethos, with the inherent ability to age gracefully, the new offices, based at number nine, 8th Street, Houghton, seamlessly parallel the agency’s award-winning work. M&C Saatchi Abel has conceptualised and executed a campaign to assist The Red Cross War Memorial's Children's Hospital raise funds for an expansion and upgrade. Is your business drowning in data? Big data is all the rage in business, but are we looking at the right data? Are we bogged down by too much data? If we are more selective about the data we look at, can we benefit from a more in-depth understanding of the customer? A simple, clever and well-timed idea can be very rewarding. Such was the case with the South African Bakers Iced Zoo® Biscuit social media post created by M&C Saatchi Abel Gauteng — wishing the Springboks well for the semi-final match in the Rugby World Cup. 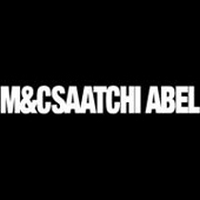 M&C Saatchi Abel worked with Edgars to launch its new website which pitches it as a fashion content curator. Brands that stay in fashion have one thing in common: A clear and powerful purpose which consistently allows them to present themselves in authentic and unique ways that keeps their brands wanted and chosen. The advertising industry needs a measurement makeover to keep creativity alive and to do the best job possible for brands. When Maurice and Charles Saatchi started this agency, it was in the belief that “Nothing is Impossible”. On the wings of such a belief, we opened our doors in South Africa in February 2010 during a very challenging time in the market, and set ourselves the ambitious goal to become South Africa’s leading strategic marketing communications consultancy. Our belief that “ brave is the new safe” has paid off handsomely. Because since then, we have made significant progress towards that vision by not only growing our talent pool to 150 people, but by being crowned the best performing agency in the M&C Saatchi global network in 2011, and by being recently awarded the Finweek AdReview Breakthrough Agency of 2012. We were also the only integrated agency to receive a AA rating. We did this by implementing our founding principle of Brutal Simplicity of Thought – where simple messages enter the brain faster and stay there longer. It’s at the heart of everything we do. As a federation of entrepreneurs, we gravitate around our single rallying call to grow our client’s business through powerful ideas. Along the way we happen to produce some great advertising too. We are an agency of friends. People who like and trust each other. We work hard. We play hard, and we share a flat refusal to accept the status quo. It’s how we are. Clear, unambiguous, honest. And importantly, measurable. Which is why our colours are Black and White. Our agency has a flat structure that runs its two offices as a singe collaborative business, rather than as individual agencies in different cities. Our fully integrated services are aligned to the business challenge, from channel to connection. As Dr Seuss once said, “Sometimes the questions are complicated but the answers are simple”. And we wholeheartedly agree with that.